Black shorts are essential to any gals summer wardrobe so why not hit refresh and get these high waisted pair in there! 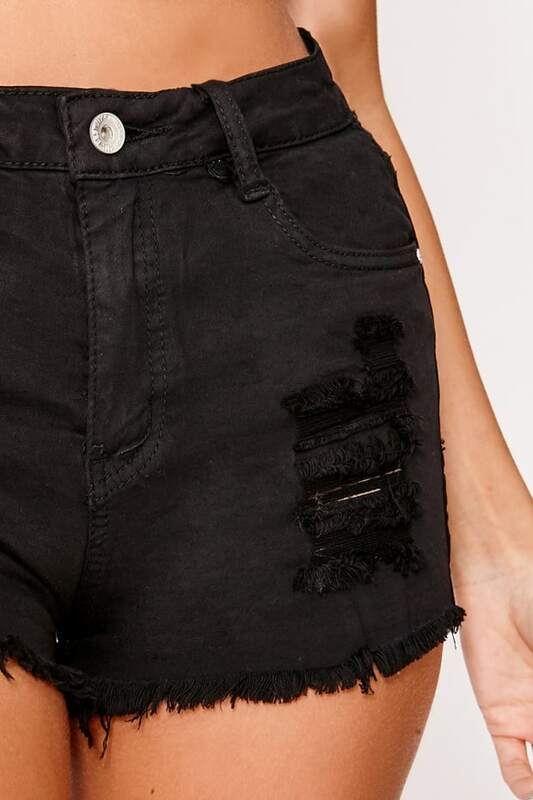 With a frayed edge and cool distressed detail, these are perfect for styling, whether your hitting up a festival or going on holiday! Style it up with a crop top and flatforms for a look that’s guaranteed to get you noticed.